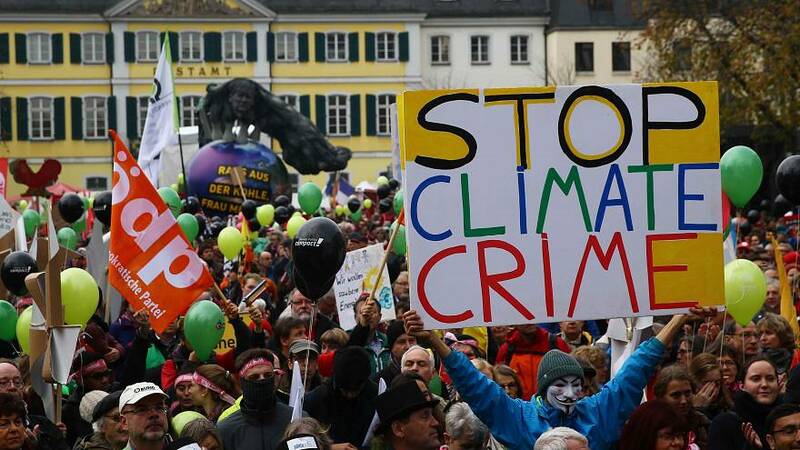 Thousands of people have gathered in the German city of Bonn ahead of next week’s Cop23 conference, which ratifies the Paris climate deal. The protesters are calling for the measures set out in the accord to be implemented faster; namely a move away from coal to renewable resources. Jana Aljets, spokesperson for “Ende Gelaende” (End of Story) activist group, wants the German government to use its influence to make others give up coal. “International governments and states have not done enough, and the German government in particular has done nothing to make real climate protection possible. It is indeed only possible when we stop using coal, and that is why we’re occupying this coal factory with our bodies in order to stop the destruction where it begins,” said Aljets. Around 25,000 people are expected to attend the UN climate change conference in Bonn; a huge logistical challenge for Germany which has never hosted an intergovernmental gathering of this size.